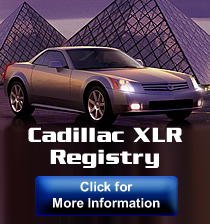 I love my Cadillacs - currently own 5 of them: '00 DTX (243K miles), '05 XLR (207K miles), '07 XLR-V, '07 SRX, & '10 CTX Wagon (100K). Now own a V-Series XLR. Triple Black (any other way?). 2007 XLR-V.